Abdtech LCD Portable Projector Home Theater is updated in 2017 with great features. Using its enhanced image focusing function, you can easily adjust the lens to focus for a clearer picture and text. 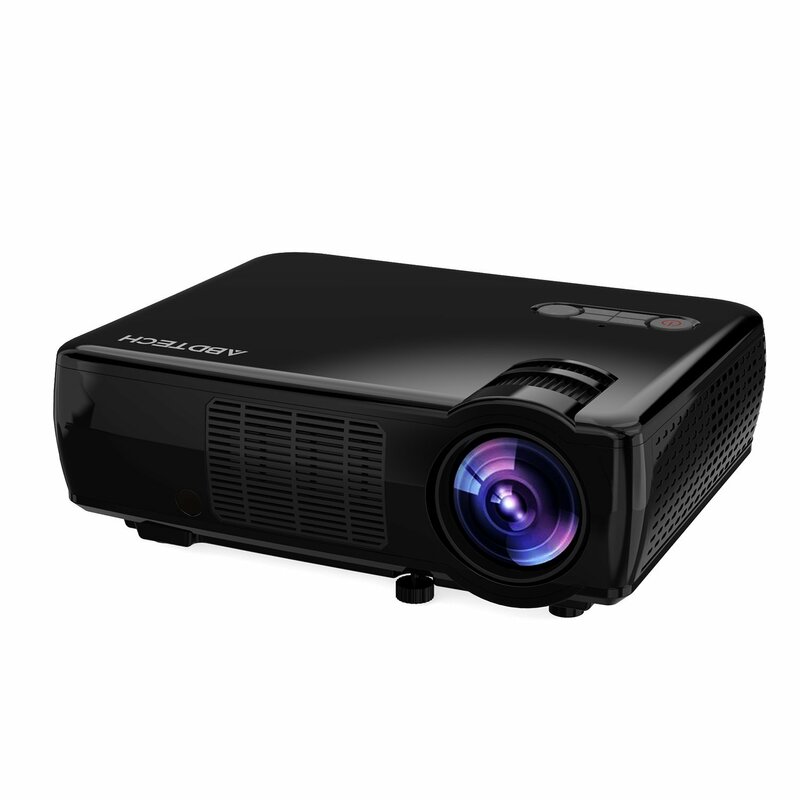 It features 2600 lumens LED Luminous efficiency (300 ASIN) LED light source, 854 x 540 high definition, 1000:1 contrast that deliver great picture from 1.2 – 3 meters away. With these amazing features, you will enjoy a home cinema with clear images. The projection screen size 32 to 200 inches from 1.2 to 6 meters projection distance. For the best project screen size, please use 32 to 120 inches projection size. Abdtech LCD Portable Projector Home Theater supports multi-function input such as integrated speakers, AV/VGA/USB/HDMI interface and you will be able to connect the projector with your PC, laptop, DVD, U-disk, iPhone, Android phone and many other devices. It also has two USB ports and two HDMI ports that make more connection.